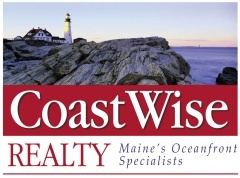 Coastal Maine's Oceanfront Real Estate Specialists - Maine Real Estate Brokers - Discover Maine Real Estate Listings! Finding your dream property in Maine has never been easier! "I'll help you fulfill your dream of owning property anywhere on or near the coast of Maine"
"Years of experience representing real estate buyers up & down the coast of Maine"
Buying Maine real estate has never been easier!